Since the early days of Computer Space, Pong, and the Magnavox Odyssey, gaming has had a competitive edge. Of all of gaming’s genres, perhaps the most competitive is the Fighting Game, a genre entirely designed around two opponents beating the tar out of each other to prove who is the top dog. The Fighter genre is also one of the most notable, particularly during the 1990s, where it would dominate the arcade scene, help lead to the creation of one of the biggest games ratings systems and professional game designer organization, sway the console wars, and find itself embroiled in one of the greatest schisms of any genre with the rise of 3D graphics. Fighting Games are typically a one or two-player competitive affair, where players choose fighters from a cast of characters to beat down the computer or a friend. Action is usually fast-paced, and a match can end in mere seconds in total victory or utter defeat. The quick and competitive gameplay helped fuel the genre’s arcade success, with players feeding quarters into arcade cabinets like mad in an attempt to prove their dominance over each other. Different fighters have helped feed some of the most competitive brand name rivalries in the business, and the tournament scene is active and resolutely dedicated. And while some of the more experimental fighters haven’t necessarily had the arcade experiences of their brethren, titles like Bushido Blade and Super Smash Bros. are still considered classics for their respective consoles. But Fighting Games have received their fair share of criticism: 1) as time has gone by, fighters have become increasingly complex, to the point that players new to the genre feel it is too complex, while 2) older fans worry that the genre is experiencing stagnation, partly due to the large number of series which continue to release titles. This guide is intended to help counter both of those arguments. 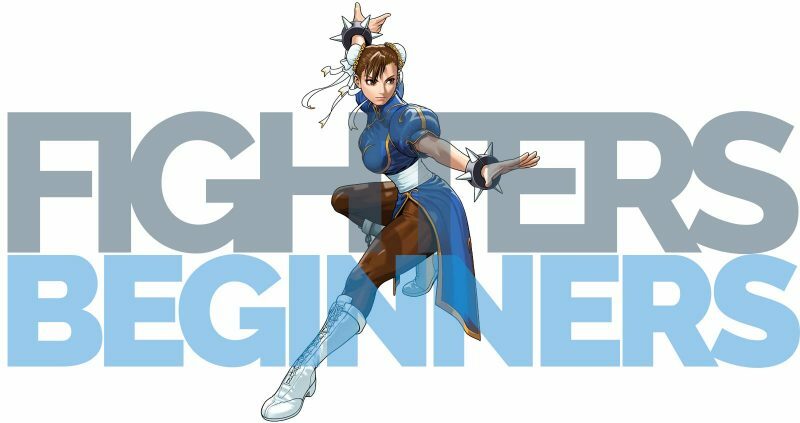 It will attempt to provide a basis for new players to understand the basic ideas behind fighters, making it easier for them to enter the genre, and it should help shine a light on the many options older fighter fans have in the genre, through links to the other articles on fighting games provided on the Racketboy website. When examining the history of the genre, the concept behind the Fighting Game is first believed to have appeared in Heavyweight Champ, a boxing game released by Sega in 1976. Featuring black and white graphics and large boxing gloves for controls, the title was a sports game which barely resembles the modern day fighter, save for it being the first game in which two players took to fisticuffs to beat each other down while offering a side view of the action. The next real competitive combat game (and the first Weapons Fighter) to see release was Tim Skelly’s Warrior, released in 1979 under the Vectorbeam label right before it was closed by Cinematronics. Because Heavyweight Champ is a boxing title, Warrior is sometimes labeled the first fighting game, though its top-down view, use of dual joysticks, and pit traps set it apart from what the genre would become. The two would receive credits for their place at the beginning, but the genre wouldn’t advance for five years beyond such affairs as Swashbuckler on the Apple II. Then in 1984, Technos Japan Corporation would release the first major jump in what was to develop into the modern fighter: Karate Champ. Karate Champ would combine several elements from its two predecessors, though the connection may have been unintentional. First, it kept the side-view perspective of Heavyweight Champ, which would become the standard view for all 2D fighters. Second, it featured dual joysticks, similar to Warrior’s control design. In Karate Champ, players control a fighter in a white gi who must successfully land a blow against an opponent in red for a half or full point. The match is won by winning two points, and winning matches can lead to bonus rounds involving breaking boards and stopping bulls. A sequel was also released in 1984, Karate Champ – Player vs Player, which was extremely similar to the original but with improved AI, better hit detection, and different stages, as well as a plot revolving around the two men fighting over a woman. Data East began putting out home versions in the US in 1985. Clones and titles with similar themes, such as Black Belt and Way of the Exploding Fist (which was in turn copied by titles like International Karate) on the Commodore 64, would follow in its wake. Nintendo would soon follow with their strange fighter Urban Champion in 1984, which relied on knocking the opponent out of the ring instead of depleting one’s health bar or scoring points. While the game has been largely forgotten by the mainstream audience, gameplay elements would find their way in their popular Super Smash Bros. series, especially the focus on Ring Outs. Meanwhile Taito released a point-based weapons fighter Great Swordsman, while in 1985 Nihon Game’s Shanghai Kid was the first to incorporate a combo system and special moves. Konami would release the first fighter to feature multiple characters, air blocking, chipping, and other innovative ideas with Galactic Warriors the same year, though it never gained the market share it deserved. 1985 would also see the release of Yie Ar Kung Fu, also by Konami, in which the warrior Oolong must battle a variety of fighters with different fighting styles to obtain the title of Grand Master. While the game features some major differences with modern fighters, such as the inability to control jump distance or block and limiting the players to only Oolong, it features a cast list which varies in size depending on the version and focuses around the use of specific martial arts styles. There’s a similar game with the same name focused on a protagonist named Lee as well. The home computer-only sequel, Yie Ar Kung-Fu II, was a beat ‘em up. The series would further influence Konami’s 1993 fighting game Martial Champions. Brian Jacks Uchi Mata followed in 1986, implementing the command roll inputs and including hidden special moves that would become so popular a year before the original Street Fighter’s release. In 1987, Capcom threw their hat into the ring with the company’s first competitive fighting game: Street Fighter. Street Fighter featured the six button control scheme that would dominate future the series and certain other Capcom fighters and included the command roll inputs and special moves that the series is famously known for, though the names of special moves in the US version were translated into English. While many series favorites like Chun Li and M. Bison wouldn’t come about until the sequel, Street Fighter also unveiled series rivals Ryu and Ken, along with the boxing predecessor to Balrog (or M. Bison in the Japanese versions), the evil Sagat, and several other characters which would reappear in the Street Fighter Alpha series. While the controls were poor and originally required punching pads in the arcade, the game saw numerous ports, including the misnamed Fighting Street for TurboGrafx CD. Game designers Takashi Nishiyama and Hiroshi Matsumoto left Capcom shortly after finishing Street Fighter to work for SNK, where they would help develop fighters for the Neo Geo. Several other fighters followed in the wake of Street Fighter, such as Barbarian, Ka Ge Ki, and SNK’s first fighter, Street Smart. Last Apostle Puppet Show, released in 1989, would be the first fighter to use digitized sprites, beating out the better known Pit-Fighter and Mortal Kombat titles, though those games would use digitized humans instead of dolls. But none of the titles released between Street Fighters 1987 debut and 1991 would have the intense staying power of one of Capcom’s greatest games (and highest sellers), Street Fighter II. In 1991, Capcom unveiled Street Fighter II – The World Warrior, complete with the six button control scheme and significant improvements on nearly every area of the original game. Of its cast roster, only Ryu and Ken returned as playable characters, while Sagat and Mike (under the name Balrog in the US and M. Bison in Japan) returned as two of the four CPU boss characters. These four became selectable with Street Fighter Dash, released in April 1992 and called Street Fighter II – Champion Edition. Eight months later, Capcom released its third revision, Hyper Fighting, also known as Turbo in the West or Dash Turbo in Japan, which sped up gameplay and added new hidden moves. 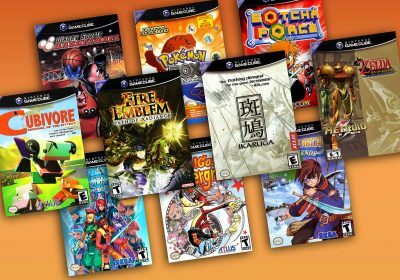 Revisions kept coming, as did console ports of these titles. Street Fighter II’s SNES port sold 6.3 million units to become Capcom’s highest selling game ever, while Turbo sold 4.1 million. Super Street Fighter II’s SNES port would sell a further 2 million. Special Champion Edition on the Genesis/Mega Drive sold 1.65 million. 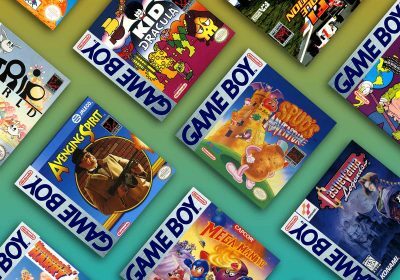 In fact, the SNES ports sold so well that they are attributed to the reason Sega’s console was eventually beaten in terms of sales, though Sega’s marketing of other peripherals and consoles was another major factor. With all of that success, competition was sure to follow, and it did. The fighter took off in Street Fighter’s wake, with all manner of SF clones being released like Fighter’s History (which resulted in a lawsuit from Capcom against Data East that ultimately failed) or the poorly made RPG-esque Power Athlete, while other companies like SNK and Midway joining in with Fatal Fury: The King of Fighters and Mortal Kombat. Licensed properties like Teenage Mutant Ninja Turtles in the US (Hero Turtles for the PAL regions) would see fighting games with Teenage Mutant Ninja Turtles: Tournament Fighters, sometimes attributed as the first game with a buildable bar for unleashing super moves, while in Japan properties like Yu Yu Hakusho would see titles like Yū Yū Hakusho: Makyō Tōitsusen, a fighting game featuring up to four players on screen. Capcom also released multiple other fighting games and series, including Darkstalkers, Rival Schools, and Cyberbots. To separate themselves from the crowd, new fighting game franchises tried different methods of raising themselves over the competition. Fatal Fury implemented a lane system, allowing players to jump into the foreground and background. Mortal Kombat implemented digitized human actors and gory fatalities, with violence becoming a major selling point. Samurai Shodown focused on weapons, while Primal Rage had fighting dinosaurs. Killer Instinct borrowed the controls of Street Fighter and the fatalities of Mortal Kombat, but added stunning graphics, auto combos, and the double health bar. Its SNES release came packaged with a CD of the soundtrack, Killer Cuts. The King of Fighters brought in team-based fights, while X-Men: Children of the Atom included massive stages, licensed Marvel characters, gorgeous sprites, and even voices supplied from voice actors from the X-Men animated series. And these are just a handful of the legions of 2D fighters to come out. While many of the more popular titles led to major series while others fell into obscurity, Mortal Kombat holds a special place in American video game history. Sen. Joseph Lieberman has pointed to it as the specific title that caused him to begin looking into violence in video games. When his research turned up titles like Night Trap, Lethal Enforcers, and Doom, Lieberman and Sen. Herb Kohl launched a series of Senate hearings on video game violence and the corruption of society in 1992-1993. While the hearings focused heavily on Nintendo and Sega, Sega had the benefit of having gone into the hearings with the Videogame Rating Council. When Acclaim brought Midway’s Mortal Kombat to the SNES and Genesis in 1993, both versions were heavily sanitized. But Sega opted to include a code to restore the blood and gore, making it the heavily preferred version in terms of sales. Sega announced the creation of its ratings council at about the same time and gave the game an MA-13 rating. But with the ensuing fights between the two companies in the middle of the hearings, Sens. Lieberman and Kohl ordered the creation of an industry-wide ratings system in one year, or else the government would become involved. Because of these orders and poor representation from its previous trade group, video game companies banded together to form the Interactive Digital Software Association, which would be renamed the Entertainment Software Association in 2003. While several ratings systems were also formed in 1993, like the 3DO Ratings System and the Software Publishers Association’s Recreational Software Advisory Council, these were pushed aside in favor of the IDSA’s proposal: the Entertainment Software Ratings Board. It received Congressional approval and was established in September 1994. Though Mortal Kombat and Street Fighter were selling well on Sega’s console, Yu Suzuki and AM2 decided to up the ante with their own fighting game. However, instead of sticking with the 2D sprites which were popular, they opted to go in an entirely different direction. Sega had been working with General Electric Aerospace, which later merged with Martin Marietta to become Lockheed Martin, to develop hardware capable of 3D graphics. The result was the Sega Model 1. Only six games were released on Model 1 hardware, including Virtua Racing and Virtua Fighter, the first fighting game to use 3D polygons. Sega followed their success with the Model 2 arcade system board, which would become one of the most successful arcade boards of all time, featuring such games as Virtua Fighter 2, Virtual On, House of the Dead, and Virtua Cop 2. The first Virtua Fighter proved to be a hit, and Virtua Fighter 2 served as the standout game for the Sega Saturn’s launch in Japan. Just as had happened in the wake of Street Fighter’s release, 3D fighters quickly appeared. PF Magic released a fighting game in 1994, known as Ballz. While it’s the only 3D fighter for the SNES, it sold poorly across all consoles, likely in part due to poor marketing. Namco also jumped in with Tekken, released on their Namco System 11 in December 1994 in Japan. Virtua Fighter and Tekken would come to have the biggest rivalry of the 3D fighter arena, and both developers would follow up later with 3D weapons fighters: Sega AM3 released Last Bronx on the Model 2 in 1996, the same year that Namco released Soul Edge. Of the two, Soul Edge would prove to have the better staying power, changing its name to SoulCalibur with the next entry. And other companies joined in. Tecmo, in a special deal with Sega, released Dead or Alive in 1996 on the Model 2. Raizing released the zoanthropic Bloody Roar in 1998, allowing players to morph between humans and anthropomorphic creatures in the middle of battle. Far less successful 3D fighters like Dark Rift, Deadly Arts (G.A.S.P!! Fighters’ NEXTreme), and Mace: The Dark Age would also see release in the following years, but none would approach the popularity of Sega and Namco. Midway saw fit to jump ship with Mortal Kombat, turning it into a 3D fighter series with Mortal Kombat 4 after testing its ideas with War Gods. Of all the companies to try out the 3D fighting genre, perhaps Squaresoft is the strangest. Known for its RPGs, Squaresoft worked jointly with Namco to release Ehrgeiz: God Bless the Ring in 1998. The game included several popular characters from Final Fantasy 7, with more included in the PlayStation port. The company which developed it, DreamFactory, had previously worked on another Squaresoft fighter property, Tobal No. 1. While the original sold well in Japan, it did poorly in the US, and Tobal No. 2 was released solely in Japan. Squaresoft also originally owned 40% of the company Light Weight, which developed the realistic weapons fighter series Bushido Blade alongside Square. The games were well known for not offering health bars, instead enabling players to choose their weapon and maim or kill their opponent in a single blow. Street Fighter continued to release series and sequels, with Street Fighter Alpha, EX, III, and The Movie all seeing release in the following years. The King of Fighters would develop into a yearly activity and Samurai Shodown would continue seeing sequels, while lesser known hits like the Power Instinct games would continue to grow. Novelties like Clay Fighter would be good for several more sequels, culminating in Clay Fighter 63 1/3 and Clay Fighter: Sculptor’s Cut on the N64, while Killer Instinct would disappear after KI2’s arcade release and subsequent KI Gold port. Meanwhile Culture Brain stopped releasing new Hiryu no Ken titles. Fighters lost much of their market share in the latter half of the 1990s, and in the United States, the arcade scene was dying, eventually being saved for a short while by rhythm games like Dance Dance Revolution. Home consoles focused heavily on RPGs, and though fighters were still considered a major part of the console market (the Nintendo 64’s decline in popularity was directly attributed to its lack of quality fighters and RPGs), the console they favored the most, the Sega Saturn, didn’t do nearly as well as the Sony PlayStation. But fighters weren’t dead, and new titles continued to be developed. Nintendo helped make up for the lack of fighters on the N64 with a fighting series based on its multiple franchises, Super Smash Bros., allowing players to be the tar out of old childhood favorites. 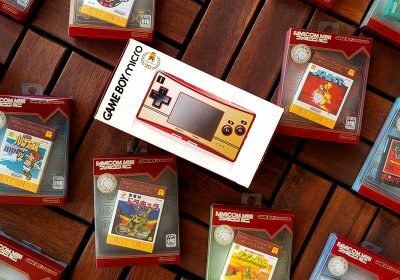 The series has continued as Nintendo continues to release new consoles. Crossover series like Marvel Vs. Capcom, the direct spawn of titles like X-Men: Children of the Atom and Marvel Super Heroes, proved extremely successful in bringing together both properties. Arc System Works released the metal and rock themed Guilty Gear in 1998, spawning a series that ran a decade before the rights were lost to Sega. The next generation of console and arcade games also showed the quality of fighters, with SoulCalibur becoming one of the greatest fighters ever made. 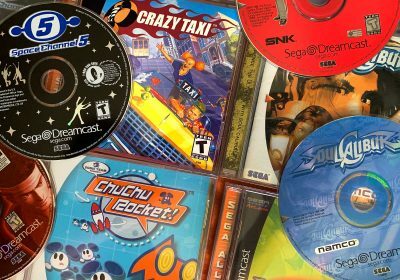 The Sega Dreamcast had a slew of great fighting games, including SoulCalibur, the Power Stone series, Street Fighter III: Double Impact, Garou: Mark of the Wolves, and much more. 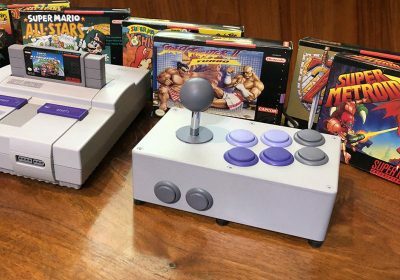 Though the console would die out far too young, quality fighting games are just one reason among many why it has become a favorite with retro gamers and collectors. Still, one of the greatest blows to the genre was struck in 2001. SNK, in need of money, was bought out by Aruze in January 2000. While at first it seemed like an excellent arrangement, Aruze quickly proved to be far more interested in manufacturing pachinko machines with themes based on SNK properties. At the same time, joint efforts with Capcom proved successful – for Capcom. SNK’s SNK Vs. Capcom titles for the Neo Geo Pocket Color sold poorly and didn’t bring in the needed income. SNK struggled with under-funding for video games until finally, fed up with how things were going, SNK founder Eikichi Kawasaki and a large number of key staffers left the company to form Playmore and Brezzasoft. Shortly afterward SNK was entirely bankrupted by Aruze, and the new companies began devoting their time to purchasing back their properties. In the interceding years, the King of Fighters franchise was produced by Korea-based Eolith, but Playmore and Brezzasoft employees still helped develop the games. In 2003, Playmore became SNK Playmore. Brezzasoft was purchased by the company and renamed SNK NeoGeo Corp.
SNK Playmore also kept smaller developer Noise Factory, which produced Mexican company Evoga’s Rage of the Dragons for Neo Geo in 2002. Noise Factory also obtained the rights for the Power Instinct series, developing Matrimelee in 2003. Though in recent years Atlus has returned to publish their games, Noise Factory continues to develop them. Noise Factory also worked on the 3D spin off The King of Fighters: Maximum Impact series. Compilations of SNK fighters, like Fatal Fury Battle Archives 1, Fatal Fury Battle Archives 2, and Samurai Shodown Anthology have become popular, alongside others like Street Fighter Alpha Anthology and World Heroes Anthology. Various fighters can be found spread throughout companies’ arcade compilations such as the Capcom Classics collection or the Neo Geo Online Collection. And older fighters are seeing rerelease on the PlayStation Network, Xbox Live, and Nintendo Virtual Console. SNK Playmore also released a crossover fighter of their own properties in 2005, NeoGeo Battle Coliseum, which has since ended up on Xbox Live Arcade. A few more newcomers appeared in the 2000s, notably the Melty Blood line of doujin fighting games by Type-Moon and French-Bread. Though the series has multiple revisions out in arcade, for Windows PC, and PS2, the titles have been strictly Japan-only affairs. Exemu released Arcana Heart in 2006, combining girls with elemental alignments called Arcana for a 2D beat down that has since seen several revisions and sequels. Arc System Works released Battle Fantasia, a 2.5D fighter with a fantasy setting and storybook themes, in 2007 to mixed reception. And after losing the rights to Guilty Gear, Arc System Works has started releasing the BlazBlue series, which has already branched into several games since its initial 2008 release. Street Fighter and The King of Fighters continue to release games, though KOF has dropped the yearly release schedule. Capcom has released Tatsunoko vs. Capcom and has also announced Marvel vs. Capcom 3. 3D fighters have continued seeing release, with Virtua Fighter, Tekken, and Soul Calibur having had multiple iterations in the 2000s. Dead or Alive 3 served as a major launch title for the Xbox in 2001, while Dead or Alive 4 was released for the Xbox 360 within a few months of its release. While the series has mainly focused on its side games in the ensuing years, more fighters are expected. Bloody Roar 4 served as its series’ final release so far, with no new titles since 2003. Mortal Kombat continued releasing 3D titles until Mortal Kombat vs. DC Universe. The game was Midway’s last: the company filed for Chapter 11 Bankruptcy shortly afterward and sold its rights to Time Warner. Warner Bros. Games’ Chicago studio, which was Midway Games Chicago but is now known as NetherRealm Studios, is now working on a new Mortal Kombat but is returning to the series 2D roots. Namco and Capcom have jointly announced a crossover title, with Capcom working on Street Fighter vs. Tekken, while Namco develops Tekken vs. Street Fighter. Mano-a-Mano – Fighting games generally pit the player against an opponent or several opponents of roughly equal capability to duke it out until only one is left standing. The exception to this rule applies to boss battles, which generally pit the player against a much more powerful opponent capable of much more powerful attacks or entirely different and sometimes unfair strategies which will require a greater amount of skill to overcome. Competitive Multiplayer – Few fighters offer co-op except in battles against boss-type characters. For the most part fighting game multiplayer revolves around two to four human beings manipulating their video game counterparts to determine who has the greater amount of skill and luck by dropping everyone else until only one is left standing. More Meat for the Slaughter – As fighting games have advanced, cast lists of selectable fighters have grown, and players expect far more than a handful of characters to choose from. In most fighting games, alternate costumes or versions for characters are unlockable, along with additional characters and bosses, further expanding the number of fighters to choose from. All’s Fair in Love and War – All’s generally considered fair in fighting games too, unless it’s a game breaking exploit or bug. Cheap tactics are allowed, though the tournament scene will generally ban specific practices considered overly cheap to the point it threatens the balance of the game. As time has gone by, characters have had nasty combos, finishing moves, juggles, taunts, and the ability to kick opponents while they’re down added to their repertoire, all of which is considered acceptable and even encouraged. Players who consider themselves honorable won’t always use them, but that’s more of a moral choice. Winning Is All – Beating an opponent down for the KO is the most obvious way to win in a fighting game, but over time new ways to win have developed. Ring Outs in 3D fighters aren’t always considered the most entertaining, but they get the job done: knock the opponent outside the fight area, and they lose. And wearing the opponent down just enough to run the clock and deny them a win via Time Out can be just as insulting as beating the tar out of them. And then there’s the elusive Double KO or Draw, in which both characters manage to KO the other, knock each other out of the ring, or get a Time Over while at an identical amount of health. In some games this counts as a victory for both, while in others it doesn’t count for either player. Meanwhile, some games like Super Smash Bros. feature different game modes with entirely different ways to win, by depleting an opponent’s lives, knocking them off the stage more times in a time limit, or simply collecting more coins in a given amount of time. Quarter Circle Punch – 2D Fighters handle their special moves by inputting specific commands involving a character-specific movement with the joystick or D-pad in conjunction with an attack. The most famous is Ryu’s Hadouken from Street Fighter, which involves a roll of the bottom quarter of the directional control towards the opponent, followed by a punch. Series like Street Fighter and King of Fighters use a system heavily focused on directional rolls, though it’s not the only system. Mortal Kombat championed a system requiring straight command presses followed by an attack, such as the command for Scorpion’s Spear attack: Back, Back, Light Punch. Primal Rage sponsored a different style, involving holding the required attack button, inputting the directional command, and then releasing the attack button for the attack to go off. All three styles found commands implemented in WeaponLord. 3D Fighters tend not to use projectile special moves, since moving on a 3D plane will avoid a 2D attack, but they have wandered in with such games as the 3D Mortal Kombats, Link’s inclusion in Soul Calibur 2, or the final boss in the Japan-only fighter Super Robot Spirits. Rounds – The average fighting game includes a number of rounds, with players attempting to win usually two out of three or three out of five, depending on the game. Some games play with how rounds are handled, such as Killer Instinct’s double health bars, while the occasional oddball like Super Smash Bros. or Fighter’s Destiny will do away with the concept in lieu of its own system. But for the vast majority of the genre, ranging from Street Fighter to Tekken 6, the round system is implemented. Earlier fighters often used a point system based on who connected with what kind of move, but classics like Karate Champ and The Way of the Exploding Fist still required two points. Bars – Bars have been used to gauge health in fighting games ever since the days of Yie Ar Kung Fu in the mid-1980s. As a fighter takes damage, their bar depletes: an empty bar means a loss, as the character is knocked unconscious. Bars and gauges have since been implemented for super moves, building up as characters dish out and receive damage to unleash spectacular attacks for large amounts of damage. Some titles use them for special defense maneuvers, to allow access to hyper modes, or simply to show the user’s ability to defend. For a really interesting idea, Mighty Morphin Power Rangers: The Fighting Edition had a bar which filled over time and then emptied, with the strength of special attacks changing depending on how full the bar was when executed. Execute three special attacks when the bar was full, and it would max out for a short time, allowing the player to pull off powerful special moves as rapidly as possible. Timer – To keep players hogging arcade machines and prevent matches from taking forever, fighting games have implemented a timer, which usually operates in segments of 15 or 30 seconds. The time effects how quickly the match will be over, though players can still beat the tar out of each other before time is up to win the old fashioned way. If players want to remove the chance for a Time Over victory, most games allow the timer to be turned off. Combos – Comboing has become the bread and butter of the fighting game genre, with nearly every fighter implementing a system to add rapidly successive hits in an attempt to prove prowess and deal damage to their opponent. Learning the combo system is a vital part of most fighting games, and players are able to pull off obscene combos in some games released before combo tracking systems became a feature, such as Street Fighter II. C-C-C-Combo Breaker – As combos became a greater part of the genre, so did the means to break combos and deny them. Though some folks may not see it, defense is just as important to learn as offense. Sure, it won’t win a match on its own, but it will deny the other guy the chance to win, which is sometimes just as important. Stages – Location is everything, and the choice of where to fight can drastically change gameplay strategies. For instance, different sized stages in Soul Calibur can determine the swiftness of a Ring Out, while walled stages in Virtua Fighter can entirely remove the possibility or make it considerably harder to do. Some fighters, such as Mortal Kombat, have implemented traps or special death sequences for certain stages. Others sometimes deny game abilities, such as a stage in Fatal Fury denying use of the game’s lane system. And sometimes stages are simply pretty backgrounds to be ignored. Punch/Kick/Block/Throw – While they’ve developed over time, fighting games offer some means of attack, some kind of defense, and generally a means to grab an opponent who has gotten in range. The types of attacks vary from fighter to fighter, with some featuring different levels of punches and kicks, some offering only a single punch or kick, and some offering generic attack buttons, depending on the fighter. Blocking, or guarding, tends to fall under two systems: either there is a button to block, or the direction from one’s opponent is held as they attack. Throws in 2D fighters are generally performed by hitting specific buttons at extremely close range. 3D fighters usually require a specific combination of buttons to be pressed to perform a throw. Choose Your Character – The most crucial moment in getting into a fighting game is selecting a character who fits your style of play. Pick someone you like, and you’re more likely to stick with the game and learn how to play it. If you’ve played a lot of fighters, you’ll likely know what to look for, but if not, ask yourself a few questions: which do you value more, speed or power? How much do you want to focus on throws? What sort of special moves or attacks do you like? What range do you prefer to fight at? Pick a character that best fits your needs. Learn to Block – Seriously, being able to rundown and beat to death an opponent is great and all, but if they manage to get the drop on you, you’re going to be in for a world of hurt unless you know how to properly defend yourself. Different games have different means of defense, so whenever picking up a new game, expect to spend some time just learning how to guard and when. You may think for a while that you’re playing worse because you have to think about it, but once you get it down you’ll be able to take on more skillful opponents. Spend Time in Training – If the game provides a training mode, use it. Personally I enjoy setting it to the highest difficulty and then battling the computer for an hour to learn the basics and get a feel for how the game (and my character) plays. While fighting the CPU isn’t going to teach you everything, it’s a good start to help prepare you for the game and will put you head and shoulders above other folks just getting into it. MAN: The Most Dangerous Prey – The CPU is ultimately limited in how well it can play and what it will do. But human opponents come with vastly different skill sets, unique perspectives, and the capability for illogical and seemingly random strategies. In short, a human opponent can make for an infinitely more skillful and dangerous opponent than a computer-controlled opponent. If you want to get beyond a certain point, you will have to take on people. Plus, multiplayer is already an enormous component to fighting games, and it’s not something that should be missed. Play to Win – While I don’t advocate cheating or manipulating glitches, fighting games aren’t exactly honorable affairs, and the dirtier fighter stands a better chance of winning. People complain about running the clock and getting tossed out of the ring, but they are legitimate means of winning that were intentionally put in the game. Kick them while they’re down, sweep them before they can block, and always be willing to punish them for their mistakes. But do obey the rules, especially at tournaments if you choose to participate. And do understand that while infinite combos are impressive, they’re not much fun for the other guy and may result in you being punched in the face. Play More Fighters – As is usually the case with most video game genres, the more fighters you play, the better you’ll be going into a new one, because you’ll have a better understanding of selecting characters that conform to your needs, gauging attack timing, and handling controls. If you’re new to fighters and keep getting beaten, don’t lose heart. Sticking with it is the only way to get better. What is Your Favorite 2D Fighting Series? What is Your Favorite 3D Fighting Series? What Is Your Favorite Fighter of This Generation? What Is Your Favorite Version of Street Fighter? All of this makes me wonder what the next ten years has in store. with the new motion based gaming for the next gen systems, will that be a step forward or backward? Some of us can only use controllers for fighting games, but will the newer generation be comfortable with using gestures and motions? great article Act! i enjoyed reading that a lot. i just love this genre of video games. great article Ack! i enjoyed reading that a lot. i just love this genre of video games. ^sorry for my double post. my web browser at work acted funny.. Awesome read, Ack! It’s great to read about the extensive history of this genre! Great work Ack as usual. I great read! Very thorough. My only comment would be that Weapon Lord got no mention… I know it’s in some of the other linked articles on Racketboy though. The game might still be the toughest fighter to learn, was more gory then mortal kombat with it’s death combos, and multiple endings per character. Wish someone would create a modern re-release. Hey Chupon, actually WeaponLord did get a mention, in the genre conventions section under the “Quarter Circle Punch” heading. I have ten things to say about this. |1.| You forgot about the 1983 Commodore 64 game The Attack Of The Phantom Karate Devils. It was the first side-viewed fighting game that’s not boxing and was the first to feature kicking, projectiles (ninja star) and health numbers; however, it probably lacks multiplayer. |2.| Data East released Karate Champ, Technos Japan developed it. Technos Japan was founded by former Data East employees; however, the Player VS. Player edition was only developed and published by Data East, while it’s the first fighting game revision and sequel. Karate Champ was Data East’s largest objection against Capcom after they sued Data East in creating the 1993 Fighter’s History arcade. |3.| It is currently unknown whether Yie Ar Kung-Fu or Galactic Warriors came first, but Shanghai Kid’s developer Nihon Game is now better known as Culture Brain, best known as the creator of the Hiryu no Ken and Super Chinese franchises, and Shanghai Kid is the first game in the Hiryu no Ken series. The protagonist Ryuhi has some similarities to SF’s Ryu, but came before Ryu. Great Swordsman was developed by Allumer without credit, who would later create the Famicom Musashi no Ken game (perhaps), Gladitor and its sequel Blandia. |4.| Capcom’s first entry into the fighting genre was actually the “V.S GAME” mode of their 1986 NES port of their Trojan arcade. Joe is the predecessor of Cody Travers, due to Joe’s SFII intro look and Cody’s resembling each other, while the SFII intro was originally planned as the intro to Street Fighter ’89 (now Final Fight). Their jump kicks also resemble each others’. Street Fighter 1 is pretty much like “Yie Ar Kung-Fu on crack”, with a hint of Karate Champ (Ryu and Ken’s gi outfits) and some of Brian Jacks Uchi Mata’s controls and hidden move ideas. Street Fighter imitates Yie Ar Kung-Fu and adds some originality to it, while others imitate Street Fighter and add their own originality to it. World Heroes by ADK for example, to differentiate itself, it became the first with multi-jumping and to have environmental hazards, which both were heavily used in the Super Smash Bros. series. Some fighters released the same year as successful ones (like SFII and MK1) that look like rip-offs of them are most likely not rip-offs. Fatal Fury 1 and Time Killers for example, were in development at the same time SFII and MK1 were. |5.| Before TMNT: Tournament Fighters had energy bars, the first one with an energy bar was the Famicom game Fighting Road. In 1992 however, SNK’s Art of Fighting later improved it by allowing players to recharge their energy bars at their own risk, allowing them not only to send “desperation moves” for the first time in history, but also to reduce “spamming”, one of SFII’s flaws. The first fighting game to allow up to four players was Technos Japan’s Nekketsu Kakutō Densetsu, but in the arcades, it was Namco’s first attempt after SFII: Knuckle Heads. |6.| Between SFII and Samurai Shodown, there were already SFII-style weapon-based fighters, both released in 1992: Blandia and Time Killers. If you see Kaneko’s Blood Warrior, don’t call it a Samurai Shodown rip-off, because it’s the sequel to the 1992 Shogun Warriors arcade, released a year before Samurai Shodown, making Shogun Warriors the first modern-fighting game with an ancient Japanese mythology theme. |7.| Some of the things that made MK popular aren’t 100% original. Great Swordsman, Barbarian and The Last Apostle Puppet Show have fatal deaths. Before MK3 featured “Brutalities”, Sammy’s Survival Arts had them (see “Survival Arts Essai” video on YouTube); but they function different. Before MK3 had “Animalities”, Data East Pinball’s Tattoo Assassins had them, although some websites said it wasn’t released. |8.| Killer Instinct wasn’t the first to feature 3D-rendered 2D sprites. Rise of the Robots, and most likely, One Must Fall: 2097, were the earliest ones to featuring the same kind of graphics. One Must Fall: 2097 was also the first to have built-in online multiplayer. Before Primal Rage, there was Taito’s 1992 Dino Rex, which was not only the first to have prehistoric animals, but also “down attacks”, a move later used in Virtua Fighter, Art of Fighting 3 and Waku Waku 7, where players attack their opponents that are down but not KO’d, yet. |9.| You forgot to mention the very first 3D weapon-based fighting game: Battle Arena Toshinden. |10.| Before X-MEN: Children of the Atom and most later Capcom fighting games had very-detail cartoony graphics, the first one to have this kind of graphics was Sega-AM2’s first fighting game: Burning Rival. Despite it being developed by Sega-AM2, Virtua Fighter creator Yu Suzuki wasn’t involved. For the whole company Sega’s first attempt after SFII, that would most likely be Holosseum, one of the first realistic modern-fighting games along with Mitchell Corp.’s The Karate Tournament, as well as being the only holographic fighting game. Those are 10 Things I wanted you to know about the history of fighting games. Very nice article, Ack! I’ve only recently got into Fighting games and this has been really helpful. Your writing style is very jarring. You over use commas and create long run-on sentences. You should never start sentences with the word “but”. A few grammatical errors exist and the information, despite being a lengthy write up, has a rushed feel to it. You just move from game to game with little finesse in your transitions. You should have have used a hyphen in “over use”. 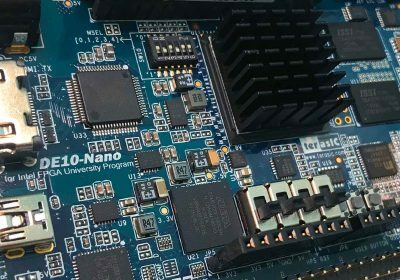 good artical ack, a lot of information i really had no idea about. Great article and I thank anyone any time they get the word out about the fighting genre. My favorite of all time. I miss the days when there were 10-12 fighters coming out every year and just about every one of them was appealing. These days I just dust off VF5 every once in awhile. Never cared for BlazBlue. MvsC3 will tame the beast for a good while, although I always liked Capcom vs. SNK better but that’s just me. No mention of the features pioneered by the Darkstalkers/Vampire series. Meh. The grammar police are out in force. good article, it was a fun read! One thing you should have mentioned is how the longevity of some of the games. When they get it right, those series last forever, SF, MK, Tekken, VF, KOF and etc. I’ve never played Primal Rage, but the command inputs for it sound like the “negative edge” idea in capcom fighters. like.. you can do quarter circle then press punch for a hadouken, or punch then a quarter circle, while punch is depressed, then release punch. Great article, you have put lots of information in it, fighting games is is a separated world by it self, I really like the street fighter series and think it’s one of the best of fighting games,I tried other titles of fighting games such as SNK,Virtual Fighter, and finally Super smash Bros.
I’m not into 3D fighting games, I prefer 2D and 2.5D over them, I don’t know maybe because I think that 3d fighters doesn’t provide that entertainment the 2D does. ultimate fighting? i think you mean mixed martial arts. ultimate fighting isn’t a sport.